About 3 years ago we rescued a dog from the pound. We prayed for a good dog for the kids and when we went to the pound we met the most mellow, sweetest dog ever. When he looked up into our eyes with his hound dog eyes we knew he was the one. Lucas. He’s a great dog. The kids love him. About a year ago we were given a puppy that turned out to be pretty psycho. Winter is her name. She drives us crazy. CRAZY! Recently she decided that the confines of our large fenced in back yard where not enough. Plus it’s spring time. She wanted to get out and do what dogs do in the spring…..
Well we have gone after that crazy dog more times than we can count. And every time Winter gets out Lucas goes after her. We have driven stakes and stacked up bricks and used anything we could to cover any holes she had dug and any exposed areas under the fence. And yet, she was determined. A few days ago Winter got out while we were away from home and Lucas went after her. When we got home Winter was outside the fence waiting for us and Lucas was nowhere to be found. I knew that was trouble. We put Winter in the garage and left the gate open hoping Lucas would come home during the night. He came home finally………limping, cut, bruised and bloody. He had been hit by a car. Lucas came home from the animal hospital yesterday and is doing well. But there’s a lesson to be learned here. Boundaries aren’t to cramp our freedom….they are to protect us. And when we step outside the boundaries…by ourselves or because we are following someone else, it always leads to trouble. God’s word lays out some boundaries for us about life, marriage, money, worship, attitude, civil actions, the way we treat others, etc. Have you ever seen anyone step outside those boundaries and it turn out well? God is gracious enough to give us some guidelines that will protect us from pain. If you want to stay free of self-inflicted trouble, then look at the commands of Jesus in the New Testament and see what His teachings tell us. Remember, boundaries are there to protect. 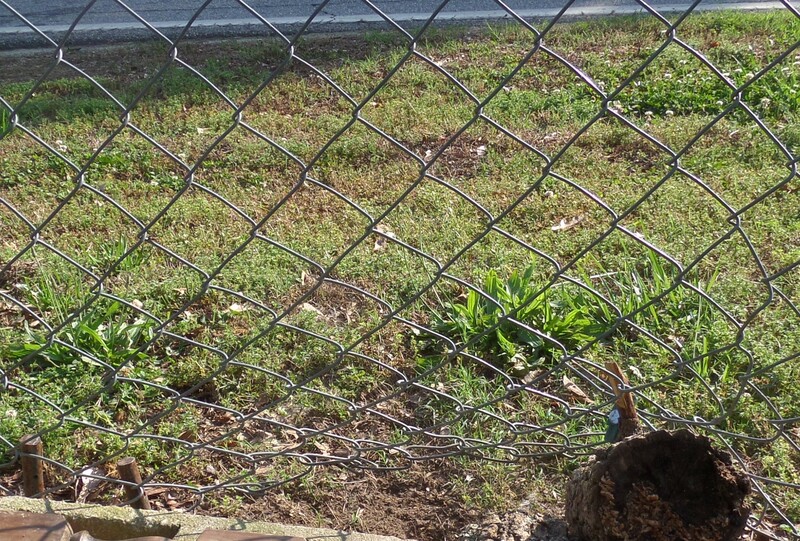 Maybe you need to take a close look at the boundaries around you to see if you’re within the fence. Learn from Lucas…stepping outside the boundaries only leads to pain.